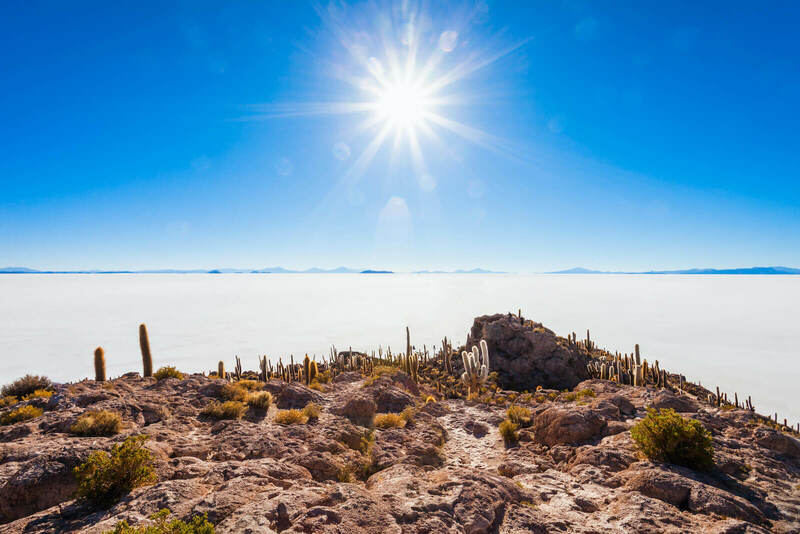 This program has been designed for travelers who want to visit the Salar de Uyuni from San Pedro de Atacama (Chile), without having to travel all the way to Uyuni and being dropped off there. 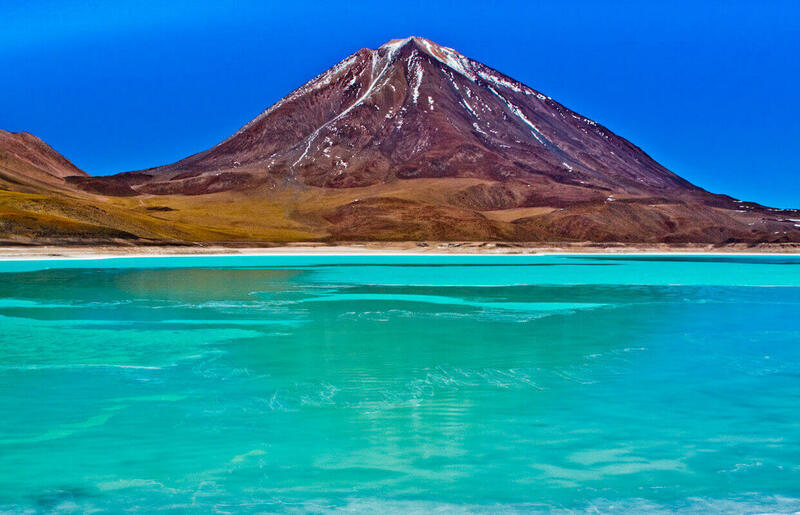 This trip starts and ends in San Pedro de Atacama. A 4 day program is available as well. 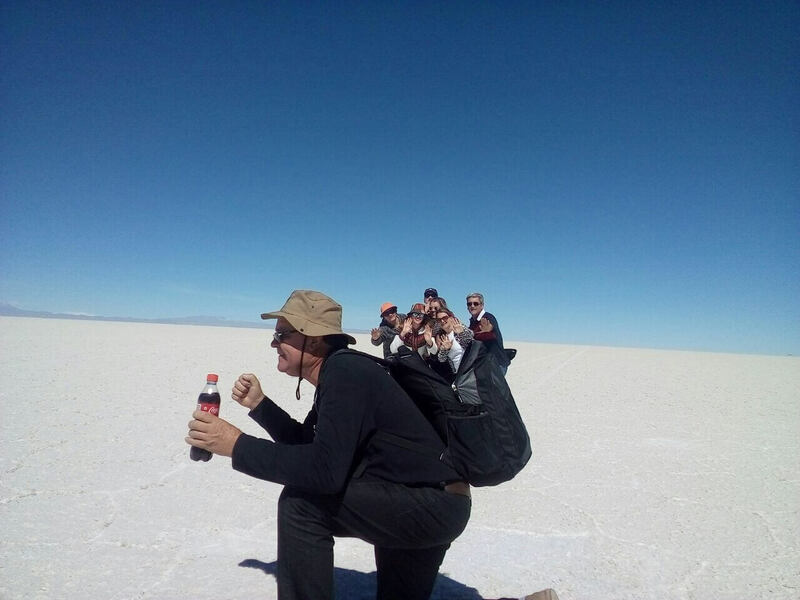 3D/2N Round trip: San Pedro de Atacama – Uyuni Salt Flats – San Pedro de Atacama (Chile), visiting the salar and lagoons. 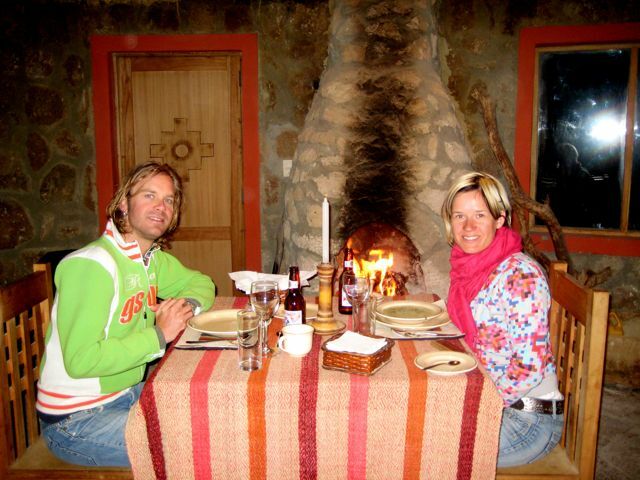 We will pick you up from your hotel in San Pedro de Atacama and take you to Hito Cajones, the Bolivian border. Once in Bolivia we will enjoy the magnificent landscape dominated by the Licancabur Volcano and the mirror of the Green Lagoon, one of the jewels of the Eduardo Avaroa Reserve and first stop of our trip. We will continue towards another jewel of the reserve: the Colored Lagoon, which is the main nesting place for three species of flamingos. The color of the water is produced by the presence of algae and plankton activated by the sunlight and the wind. 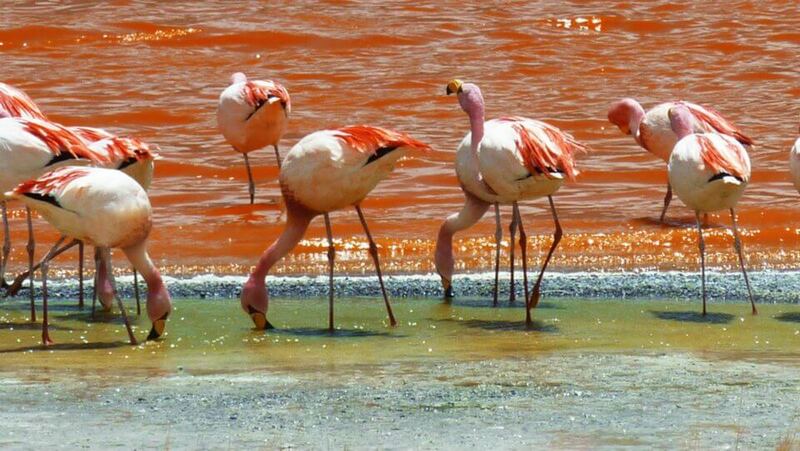 This particular algae, gives the red and pink colours to the feet and feather of the flamingos. We will go around the lagoon by its east side which normally has a lot of flamingos. We will continue the trip to Villamar village and a bofedal (wet land), where we will wait until our lunch is ready. In the afternoon we will continue to Valle de Rocas where you can use your imagination and your skills to take photographs. Throughout the years, the wind has modeled the rocks like an artist. Valle de las Rocas has numerous rocks, which according to the locals, resemble people and animals. Our next stop will be San Cristobal village, near the mine with the same name, which is one of Bolivia’s largest mining facilities. Years ago the whole village was moved by the mine corporation to a new location 14 km away from its original location where a big amount of minerals where found. On our way to Colchani we will stop by the train graveyard, with old rusted steel steam locomotives from 1890. 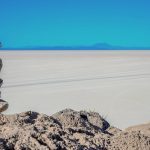 At the end of today’s route we will enter the salt lake through Colchani, a small village at the border of the salt lake, where we will visit the salt factory. 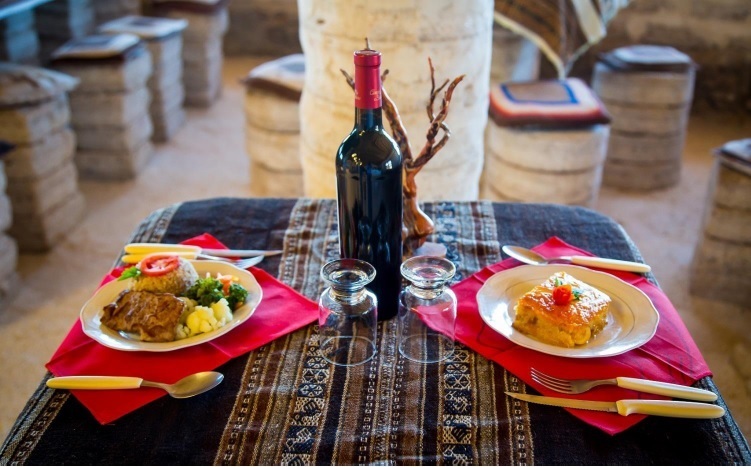 Overnight stay in Hotel Luna Salada or Hotel Palacio de Sal (Hotels made out of salt). 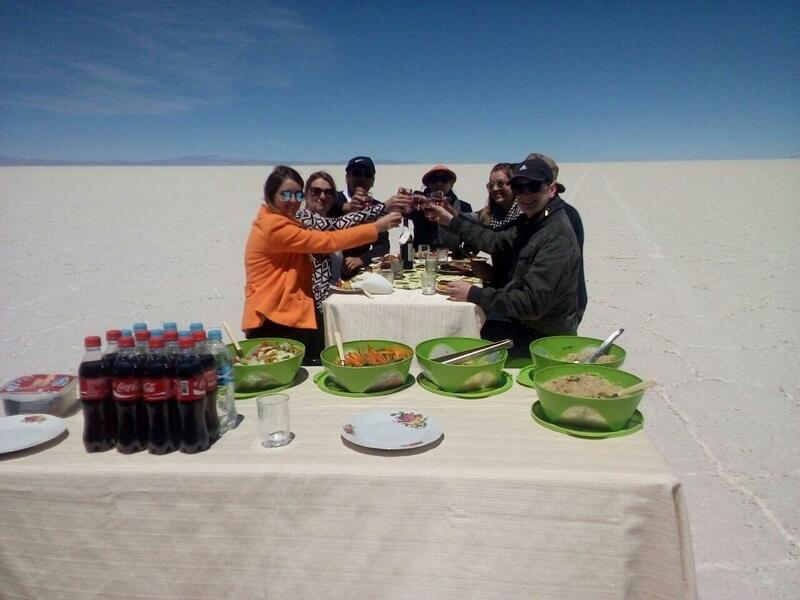 After breakfast we will continue our trip until we reach the Incahuasi Island, located in the centre of the Salar. This Island is formed with volcanic stones and has a lot of giant cactus. 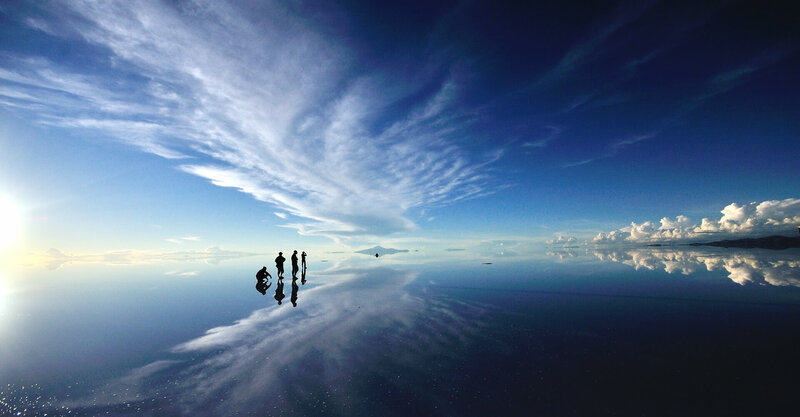 From the top it is possible to enjoy of a 360 degrees overview of the salt like. Then, we will be back at the south to get out of the salar by Puerto Chuvica towards San Juan where we will have lunch. In the afternoon we will ride along the chain of lagoons Cañapa, Hedionda, Chiarkota, Honda and Ramaditas. 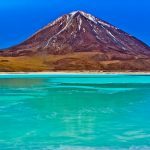 In theses lagoons we will be able to spot a large number number of flamingos of the three different species (Andino, James and Chilean) who share the volcanoes, their eternal snow and green sides (paja brava, yareta and thola) with other species of birds such as Andean seagulls and wild ducks. The colors of the sand and rocks are a product of the millennial winds together with the presence of the borax and sulfur. After we past the last lagoon, we will enter a huge and great desert area with no roads or ways. These fantastic deserts gather all kind of colors from browns, reds, oranges, brass and beige which are successively shown at every curve of the trip. In this area stands the Tayka Desert Hotel where you will spend the night (4500 m). Early this morning we will get ready to enter the Eduardo Avaroa National Reserve. We will visit the Stone Tree (Arbol de Piedra) which is a tree shaped geological structure, and the Red lagoon (Laguna Colorada). Afterwards we will get to the Geysers of Sol de Mañana probably at the time of the day with most activity. At this point we will be at the highest altitude of the trip (5000 meters above sea level). The cold here is very intense. We will have a walk between the geysers which produce noisy vapor springs and many stewpot where red and grey mud is boiling like water. 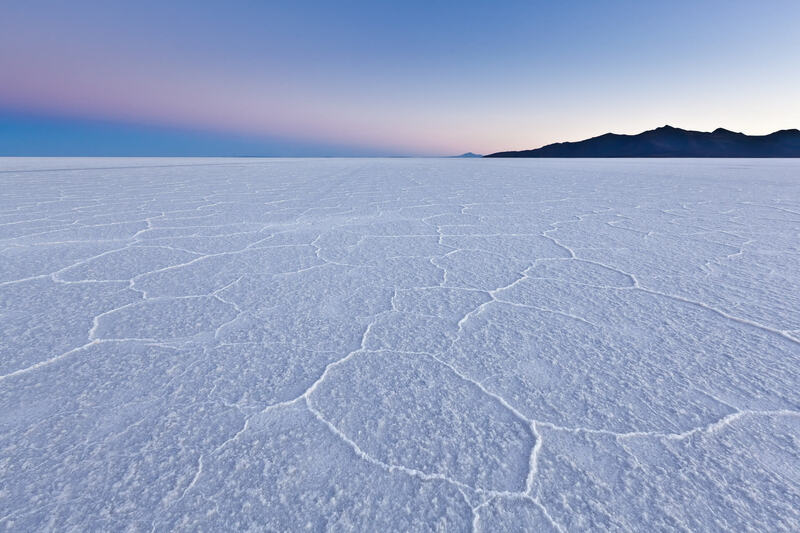 The desert and Salar of Chalviri offers us a landscape combining the white of the snow and the red brown of the desert together with the blue of the water. You will have the opportunity to take a swim in the Hot Springs of Polques. Afterwards we will approach another amazing place: the Valley of the Ladies desert, which is a geologic wonderland created by the winds. The columns of stones sculpted by the wind show fantastic colors. 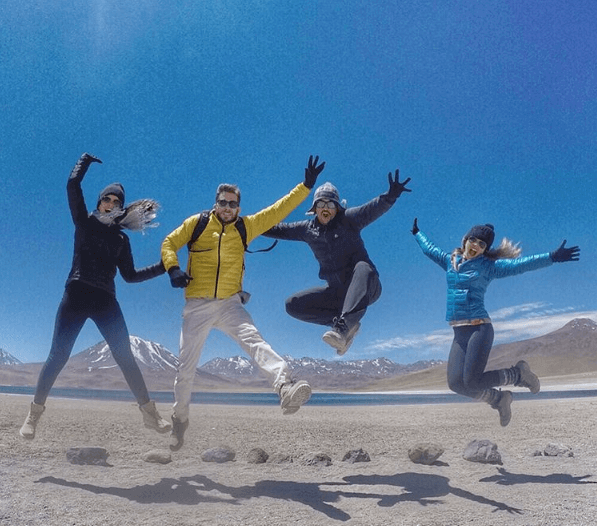 After visiting this valley we will continue towards other gem of the reserve: the Green Lagoon (Laguna Verde), located at the feet of the Licancabur Volcano. We will arrive there by lunch time, which is the best time to see how its waters change colours from emerald green to deeper green. From this point we will continue towards the Chilean border on our way back to San Pedro de Atacama. 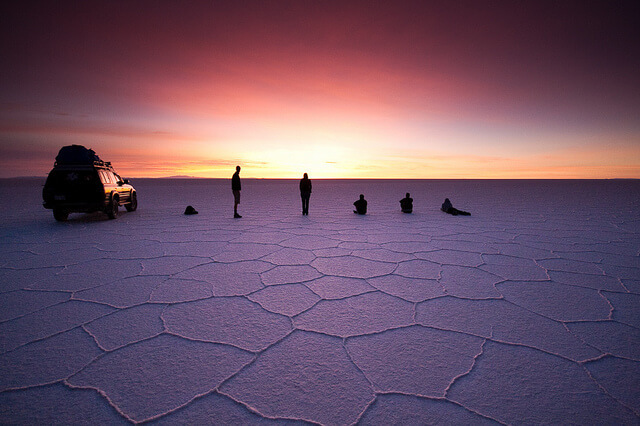 After we cross it we will change vehicles and continue until your hotel in San Pedro de Atacama, Chile (approx. 2 hours ride). 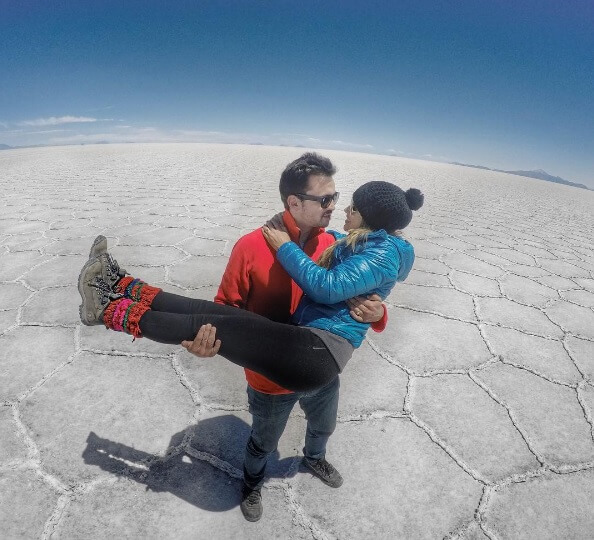 3 day comfortable Uyuni – Uyuni tour and a cheaper basic tour on the Salar de Uyuni, with basic hostels and private transport only.